AMM blog: laundry room renovation update & a giveaway! 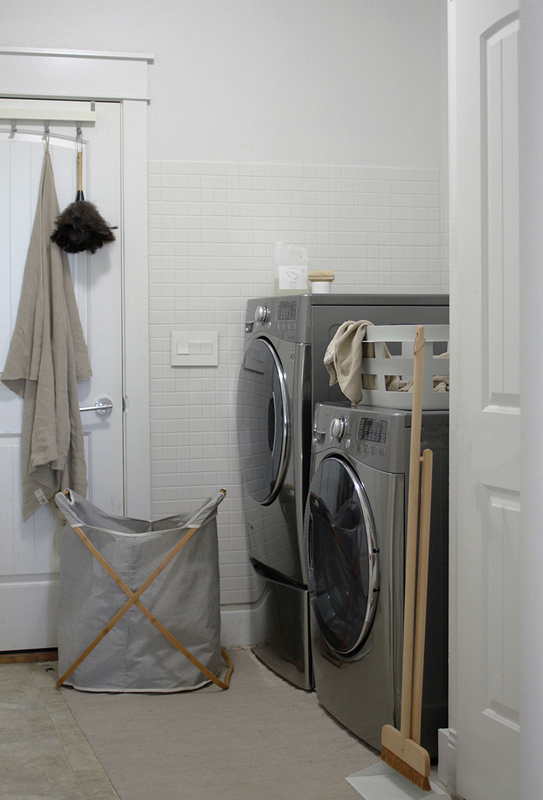 laundry room renovation update & a giveaway! Our work in the laundry room is progressing with new tile, paint, hamper and basket. We have yet to replace the flooring or install shelving but that will be later this month. For now though I wanted to take a moment to talk about the LG SideKick pedestal washer that I mentioned in my initial post here. 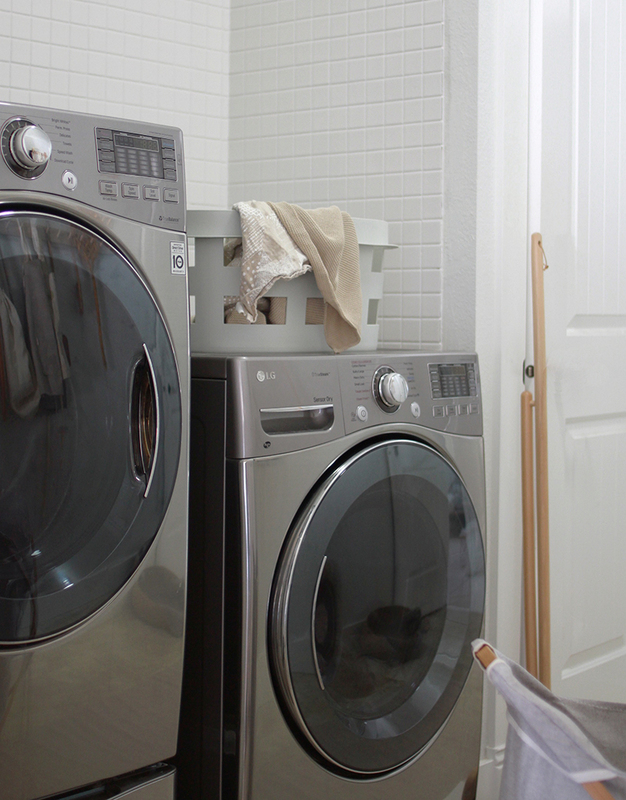 We purchased a new washer and dryer set and the nice people at LG sent us their new SideKick pedestal washer as a complement to our LG front load washer, and it’s quickly become a key part of our laundry routine. Currently we just potty trained our youngest, Elin, which means that inevitably I needed to quickly wash little undies and pants. Some days we just need a small load of hand towels washed now rather than waiting for enough towels to be dirtied in order to justify a large load. This is where the LG SideKick has been so useful. 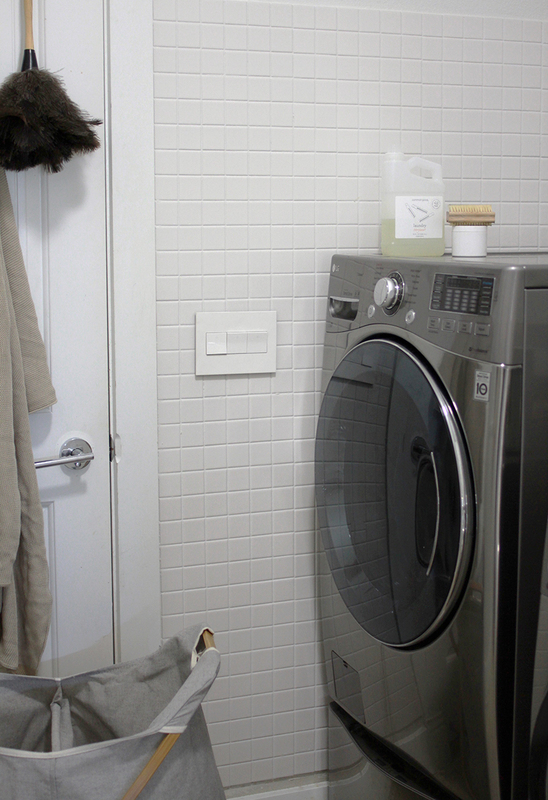 The SideKick is an additional washing machine that pairs with LG front load washers. It has the same footprint as a laundry pedestal and enables you to wash two loads of laundry at the same time. We can wash a quick, small load without worrying about wasting unused water had we put it in the larger washer. There's no need to use the main washer for these smaller loads as they function independently, and quietly I might add. It's also great, and essential for me, that the SideKick coordinates seamlessly with our existing machines. Had we purchased a white or black LG machine it still would have coordinated as there are a multiple finishes to choose from including white and graphite steel (which is the color I own). From today until November 30th, LG is having a promotion where is you buy a 4-piece laundry bundle* and LG will cover the cost of the LG SideKick™ pedestal washer upgrade at no added cost. Check here for more info. *4-piece laundry bundle including LG front-load washer, companion dryer, washer LG SideKick pedestal washer and dryer storage pedestal. I'm also pleased to share that you can win your own LG SideKick of your own by entering this giveaway! For those of you who own an LG front-load washer from 2009 or later, LG SideKick can be purchased separately as an accessory to be placed underneath. 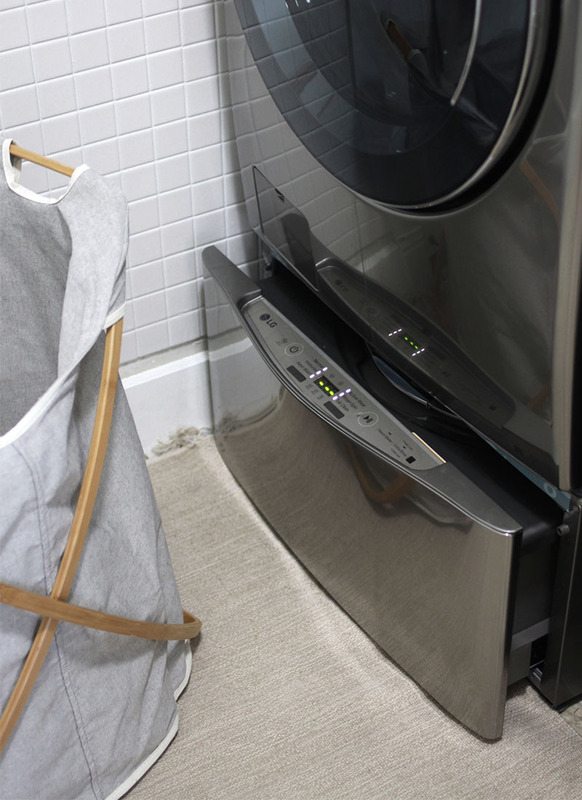 It’s a perfect solution to place “normals” and larger laundry loads into the front-loader and custom care items such as children’s clothes in the LG SideKick™. **This post was created in partnership with LG, all words beside the promo disclosure are my own. I'd love to be able to wash two loads at once! This is such a good idea, I would use it to wash my dog's bedding at the same as our washing in a separate wash - so clever, thanks for the opportunity! I'd love to enter because I don't have a real washing machine right now, so this would be a good start! Ever since I heard about the Sidekick, I've wanted one! With a baby on the way, it would be so handy to be able to quickly wash a small load! I would like a sidekick for when I find extra clothes around the house that I need to throw in. this would be fab for the dogs bed, it needs washing but i dont like to put it in with everything else because the hair covers all of our stuff! I really need to purchase a whole new laundry system and i want to get the lg! LG Sidekick seems like it would be a perfect addition to busy families like mine! Thanks for the chance to win! I would love to own a LG SideKick because we need a great washer for our house! i've heard great things about this and would love to win it! I would use this for my uniforms. I always need clean uniforms before I have a full load of laundry. This would be great to help my daughters out by washing clothes for my five grandchildren.